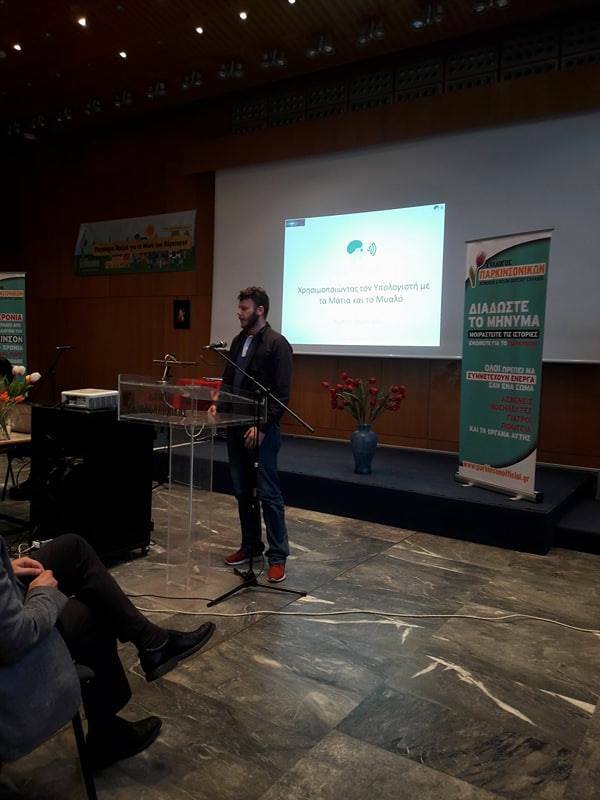 MAMEM and the developed methodologies were presented in an event, organized by the Association of Parkinsonians Patients and Friends of Northern Greece, aiming to spread awareness about Parkinson Disease during the World Parkinson’s Disease Day. Besides technical presentations, patients and their caretakers also provided information about their experience with the disease. During the event patients approached our associates inquiring about the possibility to try using the MAMEM Platform as they found that it could be very useful and could facilitate them with their everyday use of computer.